Why Go Green with GreenWise? GreenWise Construction is a unique construction organisation with a primary focus on excellence in energy efficiency and sustainable development. This pioneering approach to construction prioritises environmental as well as economic factors. 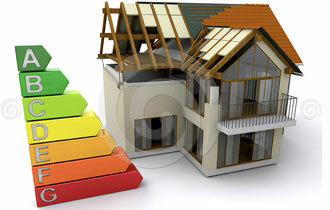 Our workforce is highly trained in green standards and possesses a clear understanding of current "green legislation". Alongside affiliated companies GWC can consult, design, build, test and deliver a project in a professional, timely and cost-effective manner. Construction techniques that are concerned with the environment and sustainability, represent a modern advancement in this industry, and should never be disregarded or placed under the false categories of expensive and irrelevant. Timetables have been issued by the UK government which must be adhered to by all contractors involved in the processes of constructing new buildings and their infrastructure, as well as working on domestic repairs and maintenance. The introduction of such a scheme can only result in positive outcomes for all who are involved. We urge clients to beware of the 'greenwash'. As a company who are genuinely concerned about the environment and sustainability, we carry out procedures and utilise products to fulfil our objectives in these two categories. Don't be misled by companies that are not authentic, offering services which do not conform to the standards of a genuine, sustainable construction company. At GreenWise, our services are tailored to provide the best possible outcome to the environment and long term sustainability. We pride ourselves on being a dependable and trustworthy business, not just labelling ourselves as 'green', but being confident in our ability to live up to our name.